On 2nd March, Climatology Part-II began. Total ~2:30 hours but I’ve split it into four parts. 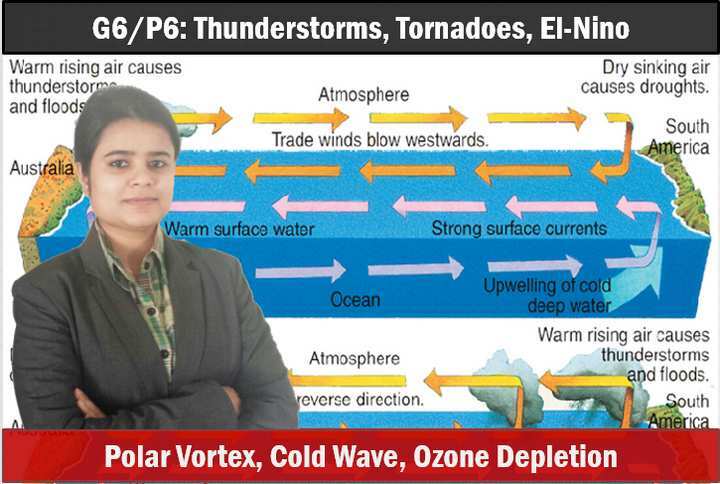 Temperate Cyclones: formative stage and development, mature stage, paths of a temperature cyclone and distribution of temperate cyclones in the world. 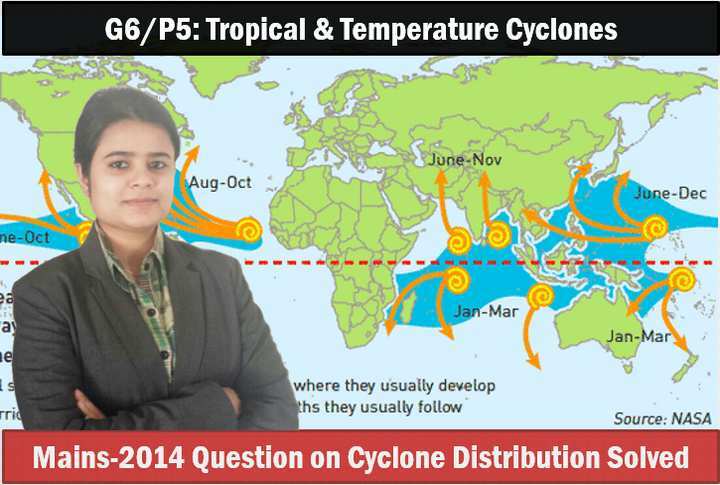 Tropical cyclone: formation, mature stage, eye of tropical cyclone, properties and distribution. Ozone depletion north pole and South Pole, Montreal Protocol and its implementation. What happens in El Nino year: walker circulation and water circulation? As far as GS is concerned, mam’s lectures + NCERT(new) and GCL + some youtube videos here and there for some selective topics would be enough. Nothing more than that is needed . Just keep on revising as much as possible, that’s the key. Madam Please Tell me whether you are covering all topics for Geography Optional Paper ? initially i was not interested in geography, but now after taking notes from your lectures im going to take geography as my optional paper for upsc exam. god bless u mam . Thank you so much..! !really great lectures..!! you are right. I also have same doubt. In wikipedia, It shows that there is low pressure in the eye of tropical cyclone. Rajtanil madam, please clear the doubt. Yup it is the lowest pressure known on the earth . Eye becomes such low that Wind circulating around it doesnt allow wind to reach this point from it side and hence it starts descending wind from above to sustain itself..leading to no clouds above it ..it looks like there is high pressure. Madam, I’m short of words to appreciate the great work you are doing. But I sincerely request you to please understand that there are many people (like me) who are relying on 2G internet connection (most of them by force and some by choice) for getting reading materials. I’m religiously following this website for getting the reading materials in text. I know I’m asking for much, but if you can really take out time then please put up the content in simple text (as like other Mrunal sir’s articles). Mrunal sir pls writebarticles in english could nt understand hindi . Or else pls teach in english for acessibility. request bro. please upload in 720p or 1080p it will be easy/clear to play it on projector at my class. Mam. It is bringing me lot of frustration. Please point with mouse pointer when you are mentioning something. just like mrunal sir. Initial 2 lectures are fine regarding mouse pointer.Aap ratta marke vomit tho nai kar rai na. We all know you have great knowledge and helping us a lot. Please consider this feedback bcz it is extremely important for the viewers. I,m literally a religious follower of ur lectures. I even purchased a printer so dat i can take printout of ur powerpoint slides . I take printout of ur slides and take notes on them by watching ur lecture. There are no slides available for G6-P6. Plz upload them as soon as possible so that serious aspirants can finish that lecture also!!!!!!! Hope u willl consider my request !!! Rajtanil Mam Thank you so much… !!!! Thanks a lot mam. 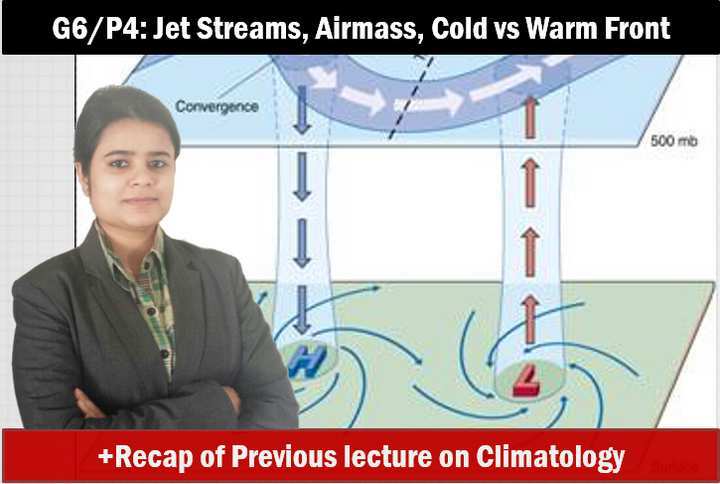 Very difficult topics of climatology can be easily understood from your lectures. I am very grateful to you and Mrunal sir for helping us in preparations. The slides shown in the videos aren’t the same which is available for download. 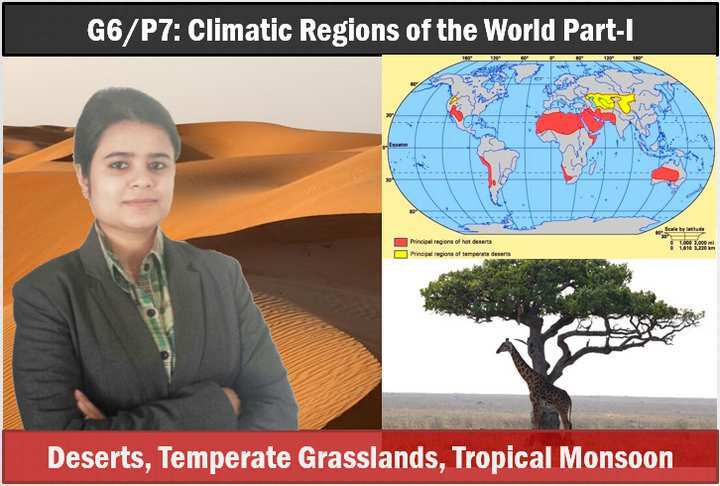 I downloaded the ‘climatic regions of the world’ ppt an dit’s missing a lot of stuff which is shown in the videos. request you to please check and upload the latest ppt used in the video. are these lectures covering prelims or mains? ?